In 2013-2016 animation, I drew attention to the star just above the nebula, which is for 3 years significantly shifted to the right. To heighten the effect, combined with the current picture image DSS., For about 60 years, the offset is already pretty decent. This picture was photographed February 4 and 6, 2016 in Khlepcha observatory, Ukraine. Mount WhiteSwan-180 with a control system «Eqdrive Standart», camera QSI-583wsg, Televue Paracorr-2. Off-axis guidecamera QHY5L-II. LRGB filter set Baader Planetarium. L = 29 * 600 seconds , bin.1, RGB = 11 * 300-450 seconds, bin.2 each filter. About 8 hours. FWHM source in L filter 2.10"-2.97", sum in L channel - 2.55"
The height above the horizon from 40° to 48°, the scale of 1"/ pixel. I've wanted to follow it weekly as changes happen that fast as your link demonstrates but weather has had different ideas for years now. I'm still waiting for even one try this year. The motion of that star is even more evident if you go back the the 1949 first light image by Edwin Hubble with the 200" scope. I had to mirror flip my image to match the 200" prime focus shot (no secondary). Mirror flips drive my brain into fits of agony but so did flipping the Palomar image with its then reversed caption. Thankfully they soon published only correctly oriented images. Wow, I love seeing stuff like this! Awesome! Rick, thank you very much for the link to your photo. 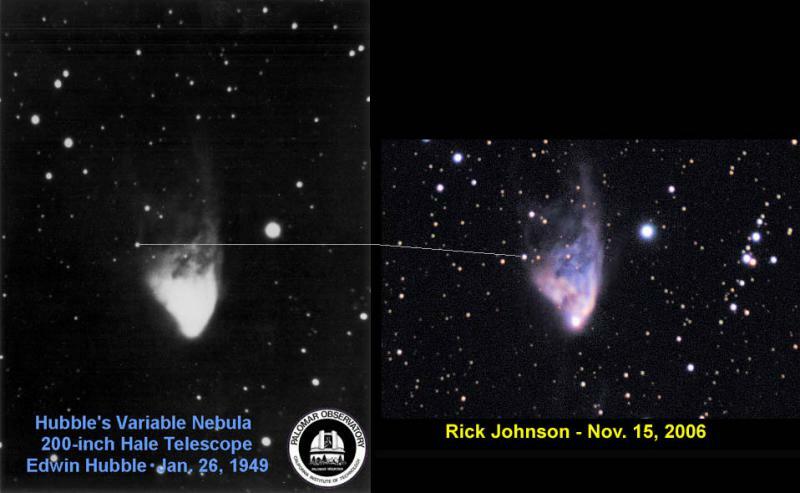 I did not think to compare my picture with original photos made by Edwin Hubble in 1949. 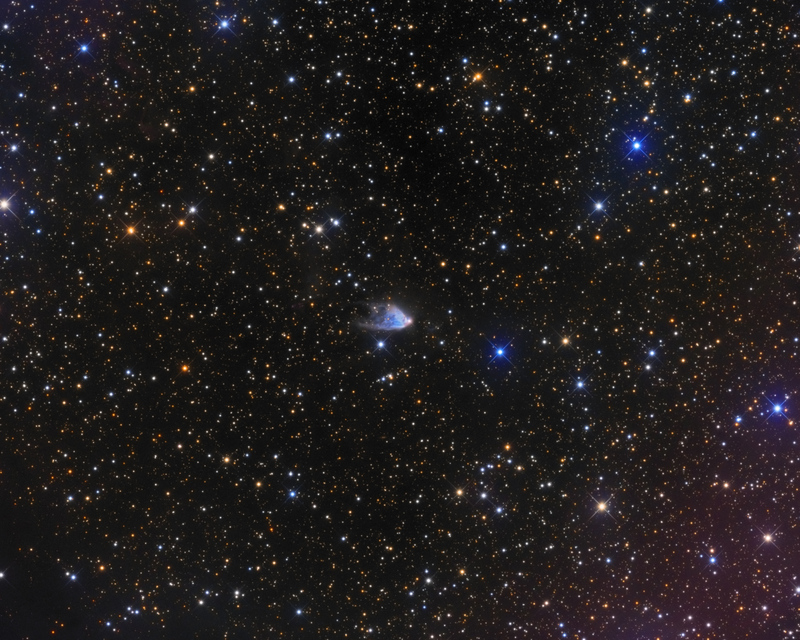 I took the photos from here: http://www.astro.cal...copes/hale.html and did animation. Noticeable is very little difference in the position of the other two stars next to the first. I think that if this is not an error in the alignment of photos, these three stars can be linked by gravitational interaction. Edited by Oleg Bryzgalov, 20 February 2016 - 10:26 AM. excellent image with superb details and colors. 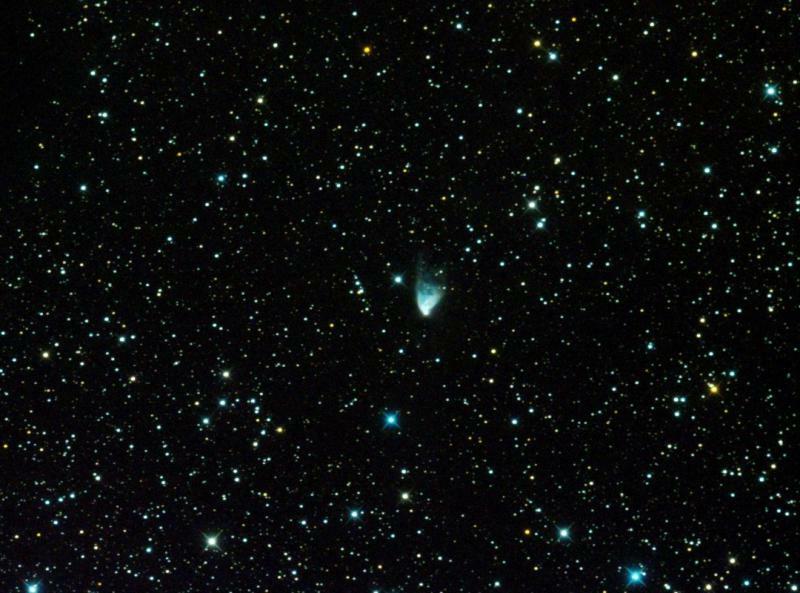 Awesome shot and how awesome it is to see a STAR moving! Good job! Here is a quick image I grabbed at RMSS a couple years ago. This is an object I want to spend more time on. Edited by CCD-Freak, 23 February 2016 - 04:48 PM. This is great. I was unaware of the high-proper-motion star. I have been working on a project of imaging short-term changes in NGC 2261 since November, and have accumulated 16 images since then. 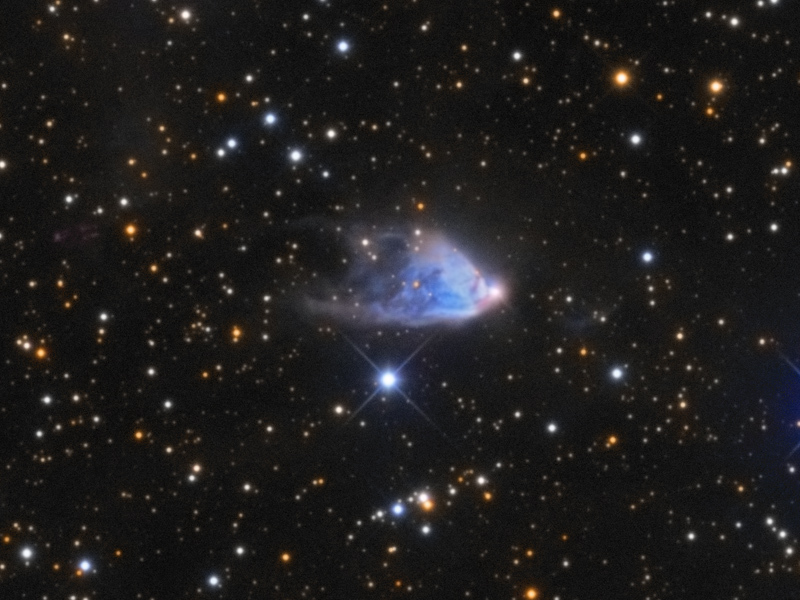 When the nebula goes into the sun's glare in April, I'll put it all together into an animation. Noticeable changes occur in only three or four days. Regarding that star, I put together a similar animation using the 1950 POSS, as you did, and two images that I took in 1999 and 2016. Then I used the Aladin application to query the star. Sure enough, it is in a catalog of stars with high proper motion as NLTT 16798. http://simbad.u-stra...dent=NLTT 16798 Looking up the measurements, it is moving at a yearly rate of 76 milliarcsec in R.A. and -219 mas in Dec. So that's 232 milliarcsec per year total. Your animation between 2013 and 2016 is showing less than 1 arcsec of motion. The longer animations going back to 1950 show a motion of 15 arcsec. Here's my animation showing the proper motion of the star. Thanks for this beautiful work!